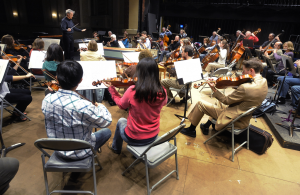 Tax deductible contributions to the Montgomery Symphony provide funds essential to the ongoing operation and solid growth of the Orchestra and to the presentation of classical music to the River Region. Within the Conductor’s Circle, there are 13 levels of support. Each contribution is deeply appreciated and carefully managed to ensure maximum value is obtained as the result of donors’ generosity.